While some young boys dream of becoming astronauts or baseball players, Josh Thomsen’s 6th grade yearbook listed “Chef” as his career of choice. This New Jersey native credits his ambitions to his father Jerry, an accomplished amateur chef. Thomsen is a graduate of the Culinary Institute of America in New York and honed his skills with some of the most prominent chefs in the country kicking off his career at the Hotel Bel-Air, Pinot Bistro & Patina in Southern California. He then relocated to Aspen, Colorado to work at the Little Nell Hotel, a Relais Chateau property as Chef de Cuisine before moving to Napa Valley Wine Country to work at the French Laundry under Thomas Keller. Then after spending two years in Napa Valley, Thomsen was drawn to Las Vegas where he continued to build his resume at the exclusive “Mansion” at the MGM Grand Hotel as well as being the opening Executive Sous Chef at Michael Mina’s Nobhill Tavern. An opportunity as Executive Sous Chef at The Lodge at Pebble Beach lured him back to the California coast and in a few years he was back on the strip as a jet setting Corporate Executive Chef for Innovative Dining Group overseeing the opening of three restaurants – two in Las Vegas and a third in Los Angeles. Before returning to California, he opened the 400-seat Tao restaurant at the Venetian Resort. During his two-year tenure it became the highest grossing restaurant in the country. Now Thomsen and his family are happy to call Asheville, North Carolina their home. Close to family and raising their own two boys as Josh is the Executive Chef of the historic Grove Park Inn. It is always a pleasure welcoming Chef Folse on the show. Laura and John not only share their experiences within the culinary world, but share a very special friendship. Chef John Folse was and raised in St. James Parish, Louisiana, Chef John Folse, CEC, is respected around the world as a leading authority on Cajun and Creole culture and cuisine. Folse grew up in a family of sugarcane farmers and great cooks, learning at a young age to utilize ingredients from the swamp floor pantry of south Louisiana’s Bayou Country. Following the success of his Lafitte’s Landing Restaurant in Donaldsonville, Folse expanded into catering and manufacturing.Chef John Folse & Company is one of only a few chef-owned food manufacturing companies in the United States producing custom-manufactured foods. Bittersweet Plantation Dairy utilizes milk from local dairy farms to produce Fleur de Lis, Fleur de Teche, various flavors of yogurt and a local favorite, Creole cream cheese. Folse’s catering and events management division is housed at White Oak Plantation in Baton Rouge. Chef John Folse has produced eight cookbooks in his Cajun and Creole series. He hosts his own television cooking show, broadcast on public television stations, and his syndicated radio show Stirrin’ It Up! can be heard nationwide. Folse also completed the filming of Louisiana’s Food Heritage: The Encyclopedia Series, based on his best-selling cookbook, The Encyclopedia of Cajun & Creole Cuisine. 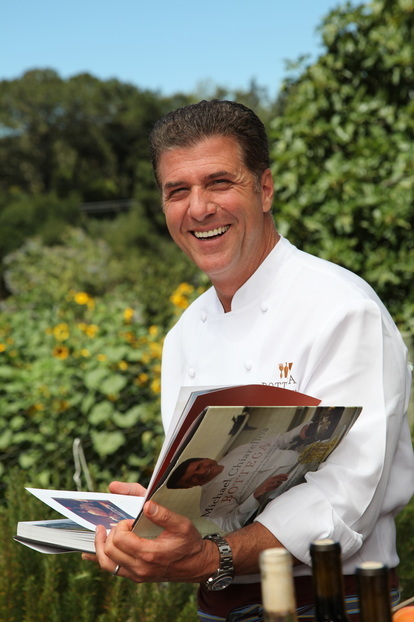 A Certified Executive Chef, member of the American Academy of Chefs and past president of the Research Chefs Association, Folse represents the finest in culinary professionalism and has received numerous accomplishments. Robert Del Grande is Chef & Owner of Restaurant RDG +Bar Annie. For 29 years, Robert was the Chef & Owner of the legendary Cafe Annie. Café Annie closed in June of 2009 and reopened as Restaurant RDG + Bar Annie in the new center Boulevard Place, less than 2 blocks from the old location. Texas Monthly picked Restaurant RDG + Bar Annie as the best new restaurant of the year. Robert is a partner in the Schiller-Del Grande Restaurant Group. He received his undergraduate degree in Biology and Chemistry from the University of San Francisco and his Ph.D. in Biochemistry from the University of California at Riverside. He joined Cafe Annie in 1981 and was instrumental in the development of Southwest Cooking in America. 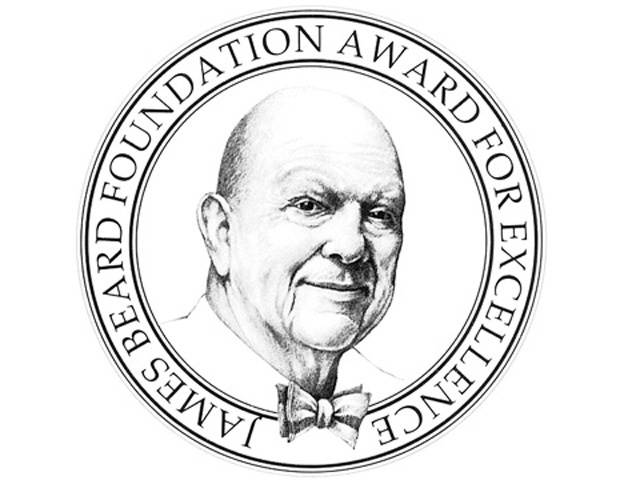 He won the James Beard Award for Best Chef in the Southwest, has received the prestigious Silver Spoon Award from Food Arts, and has been inducted into the Who’s Who in American Cooking. Cafe Annie was featured in many national publications including Food & Wine, Food Arts, Saveur, Gourmet and Bon Appétit. That legacy is thriving at Restaurant RDG. The Schiller Del Grande Group also operates The Grove & the Lake House – two restaurants in the new signature park in downtown Houston. Later this year, the Schiller Del Grande Group will open AVA Brasserie & Pizzeria Alto. In addition to restaurants, Robert has also done ideation & food concept work for several national restaurant chains. He is married to Mimi Del Grande, the managing director of Restaurant RDG + Bar Annie and partner in the Schiller Del Grande Restaurant Group. With a reputation as one of Cape Cod’s most celebrated chefs, Bill Brodsky embarks on his first solo venture with the opening of City Landing in Boston, Massachusetts. The charismatic and high-energy chef made an indelible mark on the New England scene as Executive Chef and Director of Food and Beverage of the renowned Wequassett Resort and Golf Club in Harwich, Massachusetts. In opening City Landing, he remains waterside, but now with a prime location at Boston’s Long Wharf. City Landing’s offerings will see Brodsky translate his refined cooking style - approachable yet elegant – into the ideas that have most inspired him throughout his prestigious career as an Executive Chef. Chef Frank McClelland’s L’Espalier has been a perennial “best” of America’s restaurants for three decades, earning top accolades from Zagat, Forbes, Food & Wine, Bon Appétit, Frommer’s, Wine Spectator and Condé Nast Traveler as well as nods in international media. L’Espalier is New England’s most decorated independent restaurant with twelve consecutive AAA Five Diamond Awards (the only one in Boston) and twelve consecutive Forbes (Mobil) Four-Star awards. At the heart of Chef McClelland’s menus of New England flavors with French interpretation is Apple Street Farm, his organic farm in Essex, Massachusetts that is the primary source of heirloom produce and proteins for L’Espalier and his trio of casual Sel de la Terre bistros. The James Beard chef and cookbook author (Wine Mondays) views his life as a farmer-restaurateur as being on-trend. By living this life from his youth, he was early to the farm-to-table or “locavore” dining philosophy. Bill Corbett is a nationally lauded pastry chef who, prior to becoming Executive Chef for Salesforce.com, spent his career as the executive pastry chef of the Absinthe group, pastry chef at two Michelin-starred Coi, and pastry chef at Michael Mina. Bill was named San Francisco Magazine’s Best Pastry Chef in 2011. Having worked with some incredible mentors, such as Lincoln Carson, Sam Mason, and Daniel Patterson helped Bill develop his own inclination to constantly be teaching young cooks. His patience combined with his vast knowledge makes him an exemplary pastry chef who has built a reputation for training some of the best up and coming pastry cooks in the business. Chef Dean Dupuis’ unmistakable talent for southern fare is a telling journey of passion and practice. The New England native joined Oakland’s Picán Restaurant as opening Executive Chef, launching the restaurant in March 2009. Dupuis combines deep Southern tradition with the sophistication of California cuisine. The restaurant opened to a four-star review in the Oakland Tribune Bringing It Home Social Activation Kit for and has since earned two consecutive Michelin Bib Gourmand Awards, and Best of The Bay. Dupuis’ California-infused Southern menu includes his Award Winning Collards, Low Country Shrimp & Grits and Buttermilk Southern Fried Chicken with table side truffle honey service. 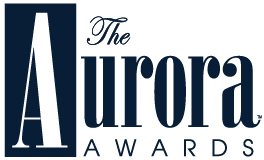 With over 10 years on the culinary scene, the emerging star of Southern cuisine is no stranger to success. In his tenure as Executive Chef at South City Kitchen in Atlanta, Georgia, the trendy restaurant was annually rated among the top 10 in Atlanta’s Jezebel Magazine. One of the highlights during his time there was catering the 2007 wedding of Multi-Grammy award winning R&B and pop artist Usher. Patrick Mulvaney is Proprietor and Chef. A leading public policy advocate on the national stage, Patrick is one of the people working to make Sacramento the “Farm-to-Fork” capital of the country. The eclectic culinary creations at Mulvaney’s B&L are a direct reflection of his diverse background, which includes a European apprenticeship and experience in top New York restaurants before falling in love with Sacramento—and its year-round growing season—when he moved here in 1991. As a little boy in Philadelphia, Alon Shaya spent most of his time in the kitchen with his mother and grandmother, which instilled in him a passion for cooking. After training at the Culinary Institute of America, Alon interned at the Rio Hotel and Casino in Las Vegas. In 2001, Alon opened Antonio's Ristorante for Harrah's at its casino in St. Louis. It was there that he met Octavio Mantilla, General Manager and Co-Owner of Besh Restaurant Group, who lured him to New Orleans. As Chef de Cuisine at Besh Steak in Harrah's Casino, New Orleans, Alon worked closely with Chef John Besh. In 2007, Louisiana Cookin’ showcased him on its cover and in a corresponding feature about five young "Chefs to Watch." Alon and Chef Besh forged a partnership in 2008 to open Domenica, a family-oriented, authentic Italian restaurant in New Orleans Historic Roosevelt Hotel. In 2010, Esquire Magazine named Shaya one of four Chefs to Watch. In 2011, Shaya was named “Chef of the Year” by Eater New Orleans. Making it to the top takes talent, hard work and, most of all, the proper attitude. Dale Ray, executive chef of Napa Valley’s Bringing It Home Social Activation Kit for noted Mustards Grill has climbed his way to the top with hard work and determination. Ray has a long history in the restaurant business, beginning at Café PariZade in his home town of Durham, N.C. and included culinary school at L’Academie de Cuisine in Maryland and stints at Citronelle in Washington, D.C., Inn at Little Washington in Washington, Va. and Wild Goose on the shores of Lake Tahoe in California. During his 25 years as a chef/restaurateur, Michael has been acknowledged by the Culinary Institute of America, IACP, Food & Wine Magazine, and many more for his success as both a Chef and restaurant professional. He has developed over 10 restaurants, including his hugely popular and critically acclaimed Bottega Restaurant in Yountville, California (Napa Valley); his new Spanish restaurant Coqueta on Pier 5 in San Francisco which earned a glowing 3.5 star review from the San Francisco Chronicle and was a finalist in the 2013 James Beard awards for Best New Restaurant; and his first in California, Tra Vigne, of which he was executive chef/partner until 2000. Named Esquire magazine’s “Chef of the Year” for 2013, Chiarello made his mark by combining his Southern Italian roots with the distinctive hallmarks of Napa Valley living. From his earliest childhood experiences – created around his mother’s California kitchen with his extended Italian family of butchers, cheesemakers and ranchers – Michael Chiarello dreamed of becoming a chef one day. Decades later, he has realized his dream, and much more. He is a graduate of the Culinary Institute of America, Hyde Park, NY. Jason Collis is the Chef owner of Plated Events by Chef Jason Collis’ major accomplishments include winning the cioppino contest held at Brander Vineyards in Santa Barbara, launching a catering venture with Limoneira’s agrotourism special event division and earning best martini bar in Ventura honor the past five years for his J’s Tapas Bar. While owner of Jonathan’s at Pierano’s, the restaurant was listed as a destination spot in state and national magazines such as Gourmet, Westways and the San Diego Tribune. 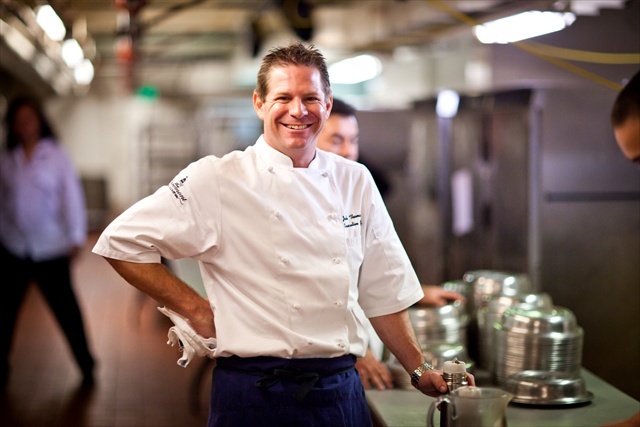 Collis apprenticed under world-renowned chef, Wolfgang Puck prior to taking ownership of Plated Evetns by Chef Jason. He worked at Spago and assisted Puck with special events, cooking more than 1,200 fine dining plates for the famous Governor’s Ball following the Academy Awards, as well as catering large charity events and high profile weddings. Chef Scott Samuel, formerly the Sous Chef at The Herbfarm, and now working as a Private Chef, has been in the restaurant industry for over 20 years. He was the original Chef for Brie & Bordeaux, a combination wine & cheese shop as well as an open-kitchen, 30-seat bistro, which opened in April 1996 in Wallingford, Seattle. The menus at Brie & Bordeaux were small but innovative, focusing on the best of the season. 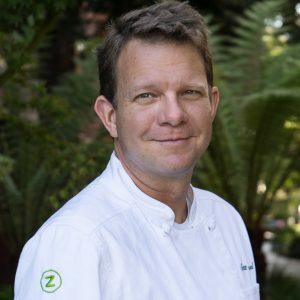 In the fall of 1998, Scott was a nominated by the James Beard Foundation as 'Rising Chef of the Year'.In August of 1998, Scott completed a six-week apprenticeship at The French Laundry in Napa Valley with Chef Thomas Keller. Scott was drawn by Keller's vision and insistence on perfection, and he returned to Brie & Bordeaux reinvigorated and inspired. 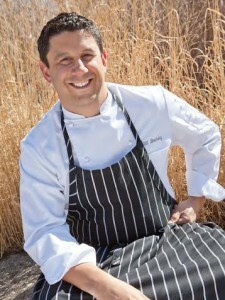 Scott left Brie & Bordeaux in 1999 to fulfill a Chef position at Gerard's Restaurant on Maui. He returned to Seattle in 2000 to help open Waterfront Pier 70 as Executive Sous Chef, then a year later accepted the position as Sous Chef of The Herbfarm Restaurant and helped re-open the renowned restaurant in Woodinville, Washington. Scott's menus reflect a commitment to local farmers and seasonal harvests. Currently Scott is a full-time Chef Instructor at The Culinary Institute of America in Napa Valley. Chef Carolen Barrett grew up in Mexico City where she discovered her passion for cooking and local flavors. Barrett moved to Northern California to work in San Francisco’s Fog City Diner. Later she moved to the Napa Valley where she cooked with world renowned Chef Thomas Keller at The French Laundry in Yountville. Chef Barrett was Executive Chef at Rancho Pescadero where she also manages the new garden kitchen, La Girasol. Chef Barrett smiles upon her lovely visitors while constantly adding fresh flavors to her menu.